“Life in a Jar: the Irena Sendler Project” brings this gripping story to life at Pensacola State College’s Ashmore Auditorium on the Pensacola campus April 1-2. Performances are 2:30 p.m. and 7:30 p.m. on Saturday, April 1, and 2:30 p.m. Sunday, April 2. Co-sponsored by the Pensacola Jewish Federation and Pensacola State, this powerful presentation touches the Holocaust, ethics, education, respect and unsung heroes. When the Germans invaded Warsaw in 1939, Sendler began helping Jews by offering food and shelter. In 1940, more than 450,000 Jews were forced into an area called the Warsaw Ghetto. 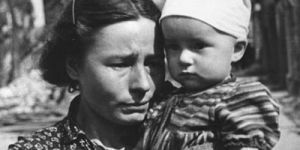 Sendler began focusing on saving the children by smuggling them out and then adopting them into the homes of Polish families or hiding them in convents and orphanages. “Life in a Jar” is also the story of Kansas high school students who rediscovered Sendler’s heroic actions while working on a National History Day project and then continued to spread her inspirational story. Ticket prices are $11 for reserved admission; $9 for seniors 60+, children and non-PSC students; $7 for PSC staff/faculty/retirees, PSC Alumni Association members and PSC Seniors Club members; and free for PSC students.